Two narcissistic, social media-obsessed teens start a killing spree so they can exploit the tragedies to improve their online follower count. How far would you go to gain followers on Instagram or Twitter? "Tragedy Girls" is directed by Tyler MacIntyre, who has directed numerous short films as well as one other feature-length horror comedy called "Patchwork." MacIntyre also helped write the story along with Chris Lee Hill and Justin Olsen. 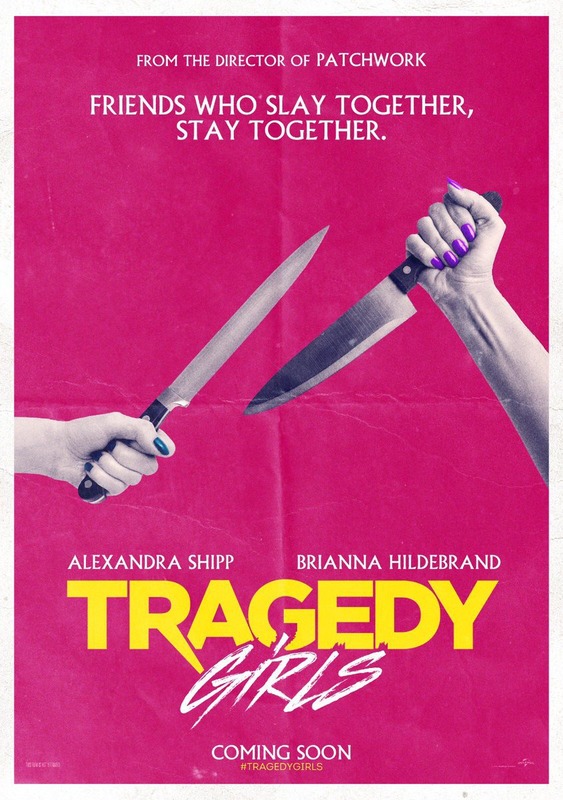 The story is about two high school seniors named Sadie Cunningham (Brianna Hildebrand) and McKayla Hooper (Alexandra Shipp), who run a blog called TragedyGirls.com and all of the social media accounts that come with it. Their site is dedicated to covering real-life tragedies. To boost their online following, the girls decide to make some mischief of their own by going on a killing spree, which they plan to blame on an actual serial killer. "Tragedy Girls" is a darkly comedic horror satire that takes aim at the modern social media-obsessed generation. It doesn't matter whether or not you are a decent person, all that matters is how many followers you have, how many clicks your site receives, and how many likes you get. The story runs with the idea that places like Facebook, Instagram, and Snapchat can lead to rampant narcissism and a disconnect from reality that can cause sociopathic tendencies. Both McKayla and Sadie are just that, narcissistic sociopaths, and having such characters as the protagonists can certainly be a non-starter for some viewers. Luckily, Hildebrand and Shipp are perfectly cast in this movie and we have a warped, twisted sense of humor. In many ways, this movie reminds us of "Heathers," but much more gory and horror-centric. Though some may not enjoy material like this, we actually found this movie to be very funny in a perverse sort of way. The two main characters are terrible people and are wholly unlikable, but that is sort of the point of a film like this. There are tons of revolting, obnoxious, self-obsessed, self-indulgent people who have YouTube channels or Instagram pages that glorify their atrocious actions, and "Tragedy Girls" and these characters are a reflection of where we have come as a society that values narcissism, scandal, and attention-whores. This movie holds a mirror up to our culture and takes it to a hyperbolic extreme, but that doesn't make what it's saying any less true. 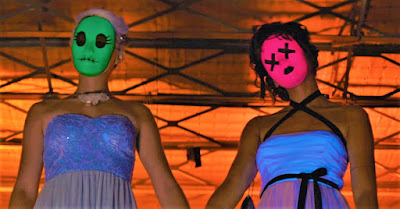 We wound up really enjoying "Tragedy Girls," which offers something different than what we have come to expect from the horror genre as of late. This movie is gross and disturbing for more reasons than just its gore factor.